As a condition of the use of this Website SeatDibs.com as a Buyer or Seller, You hereby agree to the terms of this User Agreement. 1.Definitions PSL: Is a Personal Seat License, also known as a Permanent Seat License, Private Seat License, Charter Seat License (CSL), Seat License, Charter Ownership Agreement (COA), Stadium Builders License (SBL) or Seat Option. The owner of the PSL is provided the exclusive right and obligation to purchase season tickets every year from a Team for a particular seat within a Team‚ Stadium. Unless otherwise note, the PSL is valid for the life of the Stadium. Buyer: Means any person who would like to purchase or who has purchased a PSL through SeatDibs.com of JBL Partners INC. Seller: Means any person who is looking to sell or who has already sold a PSL through SeatDibs.com of JBL Partners INC. Team: Means the NFL franchise for which the PSLs are valid. 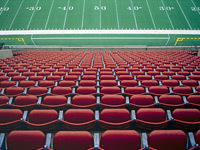 Stadium: Means the venue in which the Team plays their home games and for which the PSLs are valid. Website: means www.SeatDibs.com of JBL Partners INC. You/Your: means the user of the Website. We/Our: Means SeatDibs.com of JBL Partners INC, LLC Buyer‚ Fees: Refers to the fees paid to SeatDibs.com of JBL Partners INC by the Buyer for our services in bringing the Buyer and Seller together to conduct a PSL transaction. The fee is 5% of the Sales price. Seller‚ Fees: Refers to the fees paid by the Seller to SeatDibs.com of JBL Partners INC upon the completion of the PSL sale for our services in bringing the Buyer and Seller together to conduct a PSL transaction. The Seller‚ Fees are currently 5% of the Final Sales Price or $250, whichever is greater. PSL Transfer Fees: Means the fees charged by the Team to execute the transfer of PSLs from Seller to Buyer. Responsibility for paying the PSL Transfer Fees for transactions conducted through the Website are the responsibility of the Buyer. PSL Transfer Fees are described in greater detail in Section 4.8 of this User Agreement. Offer: Means a bid submitted by a Buyer to a Seller through the online interface at the Website. The terms and conditions of offers submitted through the Website can be found in Section 4.2 of this User Agreement. Non-Binding Counter Offer: A Non-Binding Counter Offer is defined in Section 4.3 of this User Agreement. Binding Acceptance: Binding Acceptance is defined in Section 4.4 of this User Agreement Final Sales Price: Means the total PSL sales price negotiated between Buyer and Seller through the online interface at the Website. The Final Sales Price does not include the cost of any tickets, parking passes, PSL Transfer Fee‚, Seller‚ Fees or other consideration. Transaction Completion: Transaction Completion is defined in Section 4.13 of this User Agreement. Transfer Period: Means the period of time during the year in which the Team will process PSL transfers and thus allow Transaction Completion to occur. Transfer Periods are discussed in greater details in Section 4.10 of this User Agreement. Transfer Restrictions: Refers to any impediment other than the Transfer Period which restricts the transfer of Seat Licenses. Transfer Restrictions are discusses in greater detail Section 4.11 of this User Agreement. 2. Rights and Duties 2.1Your use of the Website: If You comply with this User Agreement, SeatDibs.com of JBL Partners INC will allow You to list Your PSLs for sale on the Website and submit Offers on PSLs listed for sale on the Website. SeatDibs.com of JBL Partners INC may, in its sole discretion, prohibit You or any other person from use of the Website. 2.2Our Guarantees: SeatDibs.com of JBL Partners INC guarantees to You the following: Seller Guarantee: We guarantee that after Transaction Completion has occurred, we will pay to Seller the Final Sales Price minus the Seller‚ Fees. Buyer Guarantee: We guarantee that if we receive Buyer‚ payment and if Transfer Completion does not occur not due to Buyer‚ fault, then Buyer will receive from SeatDibs.com of JBL Partners INC a full refund of Buyer‚ payment. The SeatDibs.com of JBL Partners INC Buyer Guarantee does not apply to any loss or modification of the PSL after Transfer Completion has occurred, nor to any claim concerning the purchase or sale of any associated tickets, parking passes or playoff tickets. Likewise, we withhold the right to delay any payments to Seller pending any investigation permitted under the terms of this User Agreement. 2.3Modification or Deletion of Listings: SeatDibs.com of JBL Partners INC may modify or delete any listing on the Website at Our sole discretion. 2.4Website Interruption: SeatDibs.com of JBL Partners INC does not warrant continuous, uninterrupted or secure access to the Website. 2.5Agency Reports: We may report to any government agency or authority or to any Team any activity that We believes may violate any law or regulation. 2.6Release of Rights to Interest: You agree that SeatDibs.com of JBL Partners INC may earn interest on any money held by SeatDibs.com of JBL Partners INC in conjunction with any transaction under this User Agreement, and You release any claim that You may have, now or in the future, to any such earned interest. 4.Chronology of a PSL Transaction 4.1 List a PSL For Sale: Registered members of the Website may, subject to the discretion of SeatDibs.com of JBL Partners INC, list PSLs for sale on the Website.You shall not list any PSLs for sale on the Website unless you have full authority to assign the rights to the PSLs to another party. PSL listings may be terminated by Seller anytime prior to Binding Acceptance, by providing electronic notice to SeatDibs.com of JBL Partners INC through the Website interface. 4.2 Submit an Offer: Registered members of the Website may, subject to the discretion of SeatDibs.com of JBL Partners INC, submit an Offer to the PSL Seller through the Website interface. Buyer‚ Offer shall be binding upon Buyer until the offer terminates.An Offer shall terminate seventy-two (72) hours after Buyer submits the offer or earlier, if Buyer cancels their Offer prior to Binding Acceptance. 4.3 Non-Binding Counter Offer: Offers presented to Seller may be accepted or declined by Seller. Should Seller accept the Offer, Binding Acceptance is deemed to have occurred. Should Seller decline the Offer, Seller will be given the option to submit to Buyer a Non-Binding Counter Offer. This Non-Binding Counter Offer may not be acted upon by Buyer and is solely for the Buyer‚ informational purposes. 4.4 Binding Acceptance: Binding Acceptance occurs when a Seller accepts a Buyer‚ Offer through the Website interface. Binding Acceptance is a legally binding action which obligates the Buyer and Seller to complete the transaction and to use reasonable efforts in the execution of the transaction. 4.5 Binding Ticket Agreement: After Binding Acceptance has occurred, Buyer and Seller shall agree on the terms of any associated ticket sale, including the sale and purchase of any or all of the current year‚ season tickets, parking passes, playoff tickets, and/or any payments made or due on the Seller‚ account with the Team.A Binding Ticket Agreement shall exist when Buyer and Seller each provide e-mail confirmation to SeatDibs.com of JBL Partners INC of their agreement to terms of the ticket sale. 4.6 Buyer‚ Payment: After Binding Acceptance and Binding Ticket Agreement have been reached, SeatDibs.com of JBL Partners INC will invoice Buyer for the negotiated Final Sales Price. Buyer shall make every effort to submit payment to SeatDibs.com of JBL Partners INC within seven (7) business days from receipt of the invoice unless otherwise agreed upon. 4.7 Cooperation to Complete Transfer: After Buyer has submitted payment to SeatDibs.com of JBL Partners INC, We will provide PSL transfer instructions to Buyer and Seller, including Buyer and Seller contact information if necessary.Buyer and Seller each agree to cooperate with SeatDibs.com of JBL Partners INC, The Team as well as the other party (Buyer or Seller) to execute the transfer of the PSLs from Seller to Buyer. 4.8PSL Transfer Fees: Unless otherwise agreed to by the Seller, the Buyer shall be responsible for paying all applicable PSL Transfer Fees to the Team. 4.9PSL Transfer: Buyer and Seller shall each be responsible for reviewing all materials and information to ensure that all transfer documents are correct and complete. SeatDibs.com of JBL Partners INC acts solely as a facilitator for the transaction between Buyer, Seller and Team.Verification of Transaction Completion is the duty of both Buyer and Seller, and not SeatDibs.com of JBL Partners INC.Buyer and Seller each agree to cooperate with SeatDibs.com of JBL Partners INC, the other party (Buyer or Seller), and the Team to complete and submit to the Team all necessary documentation required by the Team in order to transfer the PSLs from Seller to Buyer. Both Buyer and Seller also agree to provide SeatDibs.com of JBL Partners INC with all requested documents relating to the PSL transaction. 4.10 Transfer Periods: Some Teams will restrict the transfer of PSLs during certain predefined periods throughout the year. The periods during which the Team will process PSL transfers are referred to as the Transfer Periods. These periods vary by team and can change year to year at the determination of the Team. For transactions occurring through the Website outside of these prescribed Transfer Periods, the Buyer‚ Payment will be held in escrow by SeatDibs.com of JBL Partners INC and the execution of the PSL Transfer and Transaction Completion will be delayed until the next Transfer Period begins. 4.11 Transfer Restrictions: Some Teams place additional Transfer Restrictions on the transfer of Seat Licenses. These Transfer Restrictions are imposed by the Team and are not controlled by SeatDibs.com of JBL Partners INC. These Transfer Restrictions include, but are not limited to: a limit on the number of times a PSL may be transferred within a certain time frame, or a requirement that any past due payments that may exits on the PSL account with the Team be settled prior to the Team processing the PSL Transfer. Should a Transfer Restriction impede the ability to reach Transaction Completion, then SeatDibs.com of JBL Partners INC shall hold Buyer‚ Payment in escrow until the Transfer Restriction ceases to exist, at which time the sale will proceed to Transaction Completion. 4.12 Transaction Termination: At any time before Transaction Completion, for reasons relating to misconduct, breach, or fraud, SeatDibs.com of JBL Partners INC may in its sole discretion, terminate the transaction by providing electronic notification to Buyer and Seller. 4.13 Transaction Completion: Transaction Completion shall be deemed to have occurred once SeatDibs.com of JBL Partners INC receives electronic confirmation from the Buyer and/or Team that the transfer of PSLs from Seller to Buyer has been completed. 4.14 Payment to Seller Upon Transaction Completion: Within seven (7) business days after Transaction Completion has occurred, SeatDibs.com of JBL Partners INC will pay to Seller the final sales price minus the Seller‚ Fees. Payment will be made to Seller via SeatDibs.com of JBL Partners INC company check made payable to the owner of record of the PSLs with the Team. 5.Indemnity, Exclusion, Release 5.1Indemnity of SeatDibs.com of JBL Partners INC: As a term of the use of the Website, You shall indemnify, defend, and hold harmless SeatDibs.com of JBL Partners INC and its owners, officers, agents and employees from all damages and expenses relating to any claim by a third party resulting from Your use of the Website or to any taxes of any kind due for any purchase or sale of PSLs through the Website. 4.3Exclusion of Damages: SeatDibs.com of JBL Partners INC shall not be held liable for any lost profits or damages relating to any PSLs, the sale of any PSLs, the failed sale of any PSLs, the Website or any services relating to the Website. SeatDibs.com of JBL Partners INCs‚ liability to You or anyone else in any circumstance is limited to the payments described in the Buyer Guarantee and Seller Guarantee. 5.Intellectual Property Protection and EnforcementThis User Agreement does not in any way confer to You any right or interest to any SeatDibs.com of JBL Partners INC intellectual property. All intellectual property shall remain the sole property of SeatDibs.com of JBL Partners INC.In addition to any other rights and remedies, SeatDibs.com of JBL Partners INC withholds the right to seek an injunction against any violation or infringement of its intellectual property.You consent that any such injunctive action will be carried out under the jurisdiction and venue of the federal and state courts in Delaware. 6.General Terms 6.1 Illegal Activities: You shall not use the Website in any way that would involve the sale of counterfeit or stolen items or that would involve any illegal activities. 6.2 Viruses: You shall not provide any communication to the Website, directly or indirectly, that contains any programming intended to damage, interfere with, intercept or expropriate any system, data or personal information. 6.3 Investigations: You shall cooperate with any investigation by SeatDibs.com of JBL Partners INC or the Team concerning any activities related to the Website and shall promptly provide any and all requested information to SeatDibs.com of JBL Partners INC or the Team in conjunction with any investigation. 6.4 Entire Agreement: This User Agreement is the entire agreement between You, SeatDibs.com of JBL Partners INC and the other party (Buyer or Seller) and supersedes all prior agreements and understandings written or oral. 6.5 User Agreement Amendments: SeatDibs.com of JBL Partners INC may amend this User Agreement by posting the amended User Agreement on the Website.The amended User Agreement will become effective once posted on the Website for any transactions beginning after the amended User Agreement has been posted.The amended User Agreement shall be effective for any ongoing transactions if You continue to use the Website after the amended User Agreement has been posted. 6.6 Independent Contractor Relationship: You understand that You and SeatDibs.com of JBL Partners INC have an independent contractor relationship and that nothing in this User Agreement creates any further agency, partnership, or employer-employee relationship between You and SeatDibs.com of JBL Partners INC. 6.7 Notices: All notices to SeatDibs.com of JBL Partners INC must be submitted electronically to a registered SeatDibs.com of JBL Partners INC email address as provided on the Website or via certified mail to the address below: SeatDibs.com of JBL Partners INC, LLC 1220 N. Market Street, Suite 806 Wilmington, DE 19801 We shall provide notice to You by posting on the Website or via email to the email address You provide at registration. 6.8 Governing Law and Venue: This User Agreement shall be governed by and interpreted in accordance with the laws of the State of Delaware. All disputes relating to this User Agreement, including disputes related to any transactions conducted using the Website, shall be resolved in the state Delaware. 6.9 Severability: If any provision of this User Agreement is held to be invalid or unenforceable, the remaining provisions shall not be affected. 6.7 Assignability: You may not assign or transfer this User Agreement or any of Your rights or obligations under this User Agreement without the prior written consent of SeatDibs.com of JBL Partners INC. We may refuse any assignment at Our sole discretion.